Welcome to Hokey Pokey. A place and a time, when childhood is at its best: games to play, bikes to ride, experiences to be had. There are no adults in Hokey Pokey, just kids, and the laws governing Hokey Pokey are simple and finite. But when one of the biggest kids, Jack, has his beloved bike stolen - and by a girl, no less - his entire world, and the world of Hokey Pokey, turns to chaos. Without his bike, Jack feels like everything has started to go wrong. He feels different, not like himself, and he knows something is about to change. And even more troubling he alone hears a faint train whistle. But that's impossible: every kid knows there no trains in Hokey Pokey, only tracks. All night long Seven Sisters whisper and giggle and then, all together, they rush Orion the Hunter and tickle him, and Orion the Hunter laughs so hard he shakes every star in the sky, not to mention Mooncow, who loses her balance and fallspuh-loop!into Big Dipper, which tip-tip-tips and dumps Mooncow into Milky Way, and Mooncow laughs and splashes and rolls on her back and goes floating down down down Milky Way, and she laughs a great moomoonlaugh and kicks at a lavender star and the star goes shooting across the sky, up the sky and down the sky, a lavender snowfireball down the highnight down . . .
. . . to Hokey Pokey . . .
Jerry Spinelli manages to wholly – and sometimes painfully – portray the internal landscape of being a child, all against the mesmerizing, larger landscape of Hokey Pokey. Hokey Pokey is well suited for middle graders (ages 8-12) but will be wholeheartedly enjoyed by young adults and adults as well. (Reviewed by Tamara Smith). Spinelli's story will set imaginations spinning and keep readers guessing about Jack's fate and what Hokey Pokey is all about (so to speak). The ending is both inevitable and a risk (it invokes one of the more clichéd tropes in literature and film), but Spinelli's dizzying portrait of life in Hokey Pokey will keep readers rapt. Ages 10–up. Starred Review. A masterful, bittersweet recognition of coming-of-age. Ages 10-13, and up. [Hokey Pokey] explores childhood as a place as well as a period of time. Spinelli's poignant story of leaving childhood behind and growing into the unknowns of adolescence is cleverly approached and lyrical in presentation. This is essential for all public and school libraries. Starred Review. This unforgettable coming-of-age story will resonate with tween readers and take its rightful place beside the author’s Maniac Magee and Louis Sachar’s Holes. 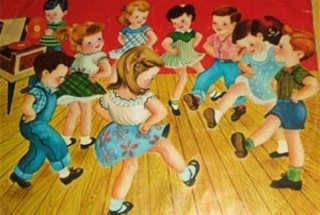 The Hokey Pokey is a timeless circle game, played by millions of children in millions of circles across many, many miles. But where did it come from? How did it start? The winner of a National Book Award, a Newbery Honor, and countless other awards has written her richest, most spirited book yet, filled with characters that readers will love, and never forget.